Measurements of chlorophyll fluorescence remotely is a tricky thing, especially if an airborne sensor is used. The faint red glow of plants is not only hard to catch against the overwhelming amount of superimposed sunlight, there is also several hundred meters of atmosphere between canopy and sensor eating up a significant portion of the signal. Within this year’s flights campaigns ESA commissioned a special active reference tool, which was developed and built by JB Hyperspectral Devices to verify and validate the airborne measurements of the HyPlant sensor, operated by the Forschungszentrum Jülich IBG-2 Plant Sciences. Ten thousands of LEDs were specifically manufactured to mimic the chlorophyll fluorescence in the spectral domain. These were assembled into large 4×3 meter frames to cover multiple pixels of the flying hyperspectral imager. The massive size of these panels and the actual amount of power necessary to mimic 24 m² of plant´s fluorescence emission amazed us during the first indoor tests. 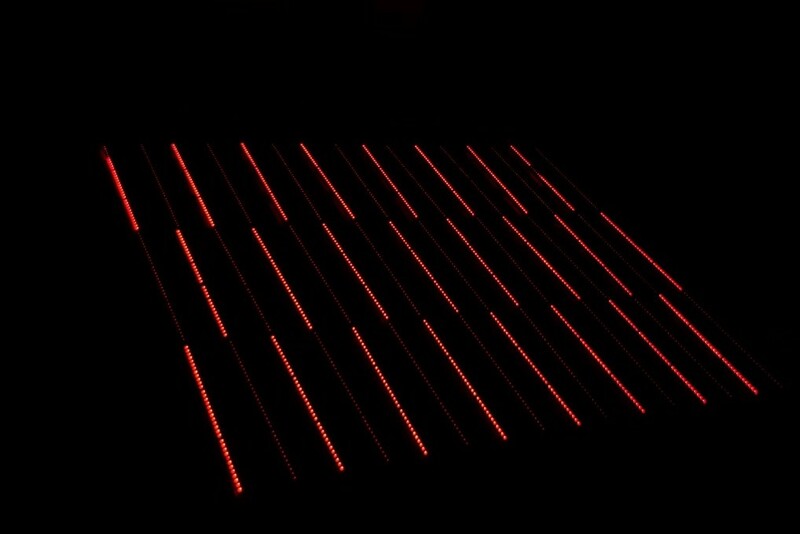 During night, thousands of Red and Infrared LEDs illuminated the calibration setup in a amazing almost magical glow. At maximum power, the LEDs and their voltage stabilization system draw up to 1 kW of power delivered by 3 parallel car batteries. 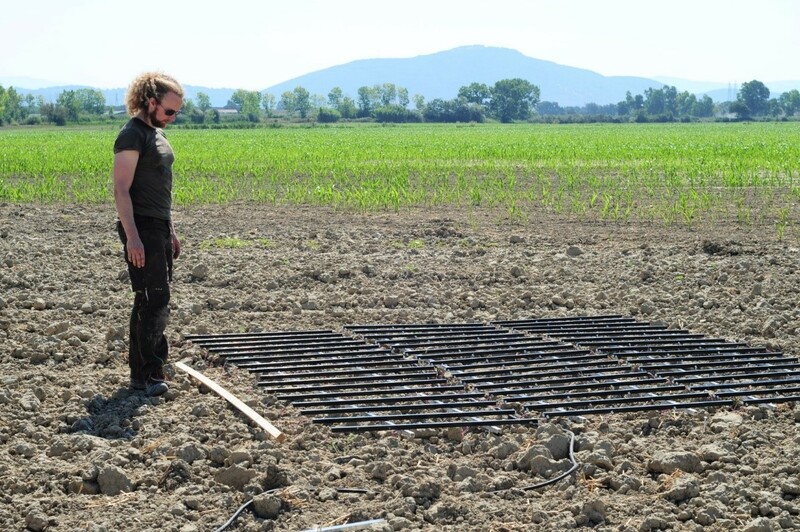 With the field ready setup we joined a hyperspectral flight mission in Tuscany, Italy where a variety of experiments were performed also including 3 FloX instruments measuring agricultural areas continously. While the survey plane was rolling towards the take-off, the reference panels were assembled over a large bare soil field. And when the overpass of the hyperspectral imager happened we fired the LEDs and send the artifical fluorescence signal towards the sensor flying hundreds meter above us. At the same time, we accurately measured the spectral emission of fluorescence down on ground level. This experiment was probably the first time an accurate calibration and validation of an airborne fluorescence sensor could be achieved. We´re highly looking forward to compare, and interpret the spectral flight lines, as soon they´ve passed the complex post processing procedure.